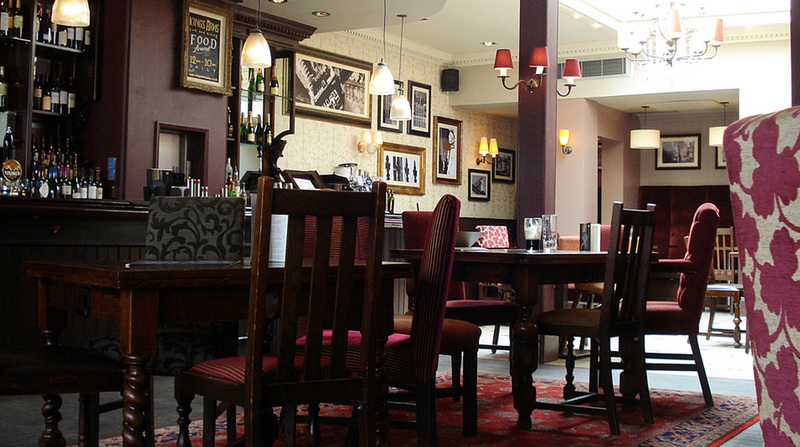 Stylish local with leather and upholstered chairs plus original tilework, serving upscale pub grub. If you needed proof that small is beautiful, here it is. All the space you could ever need for a glass and a bite to eat in a spot that the locals call The Beach. 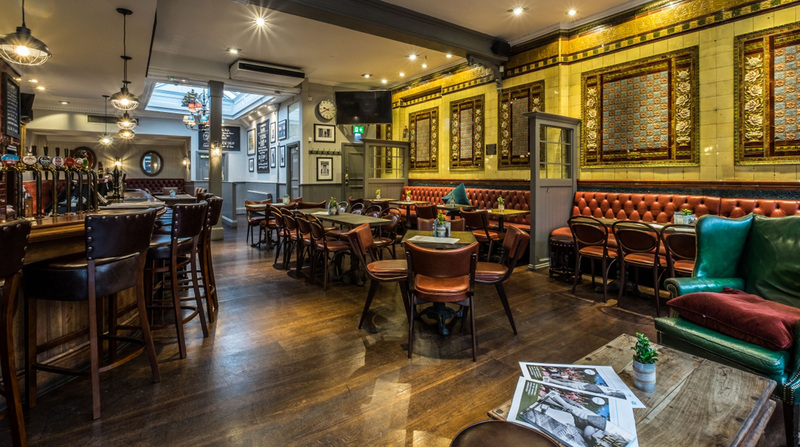 We are on the Fulham Road, next to Alio Y Olio, across the road from Sophie’s Steakhouse, two doors from Daunt Bookshop and a minute from the Fulham Road cinema. This is the Beach. Another Geronimo pub near our friends and at the end of someone’s street for a glass of beer, bottle of wine, a small or bigger plate of fresh food: but above all for the banter of a great local with the beautiful people of Chelsea.